The mother of the teenager says laws need to change to protect children from online predators. THE MOTHER OF a teenage victim of alleged cyberbullying says laws need to change to protect children from online predators. Elaine Hughes lost her son Darren Hughes Gibson (17) to suicide on 23 August 2012. Ms Hughes believes her son was bullied online due to the colour of his skin. Following consideration of a substantial file containing 5,500 pages of online messages, the Director of Public Prosecution has directed that no charges will be brought. “The laws need to change, there are too many children out there who feel they have no other option,” Hughes said. Her son Darren was found dead at the Stephenstown Industrial Estate in Balbriggan, Co Dublin on 23 August, 2012. He had been reported missing by his mother after he failed to return to the family’s former home at New Haven Bay in Balbriggan the previous night. Coroner Dr Myra Cullinane set a date for a full hearing into the teen’s death, but Hughes said she wants a review of the DPP’s decision. Speaking after the inquest, she said she felt her son’s case was not being taken seriously enough. “I want a review of the DPP’s decision and I want to see the (garda) file,” she said. I think Darren’s case is being dismissed, that more could be done. “I saw the messages that were sent to Darren and I found deleted messages on his phone after the guards had given it back to me, messages they had not seen. It took them three weeks just to come back for the phone. “This has affected our entire family, not just my own children but my parents too, the whole family is devastated at losing Darren,” she said. Hughes broke down in tears as Sergeant John Cannon of Lusk Garda Station informed the court of the DPP’s decision not to bring charges. The decision follows a lengthy investigation by gardaí and a considerable period of consideration by the DPP’s office after a file was submitted in early 2016. The garda file contains some 5,500 pages of documents, much of it obtained from Facebook through mutual assistance between Irish and US authorities. The messages were sent to and from Darren’s Facebook account. 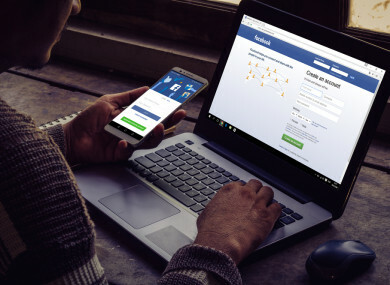 The information provided by Facebook includes messages that were deleted after the teenager’s death and messages that include inferences of harassment and bullying. Hughes says son had been bullied throughout his life for the colour of his skin and because he wore a hearing aid. Later this year, the family will mark the sixth anniversary of Darren’s death. The coroner set a date for the full hearing of the inquest into Darren’s death but said this was open to change if there was any update relating to the DPP’s decision. At present, the inquest is scheduled to be heard on 4 May 2018. Email “No charges to be brought in relation to boy (17) who killed himself after alleged cyberbullying”. Feedback on “No charges to be brought in relation to boy (17) who killed himself after alleged cyberbullying”.